My husband and I are “readers”. We may not have tallied how many books we’ve read in our lifetimes but between the two of us, we have considerably read a many number of written publications. When we started our family, it had been a conscious effort for us to raise “readers” and book lovers as well. That is when I was pregnant with our eldest, Dindin, we had already started buying children’s books by the bulk. Our haul included stories, factual books, activity books, sticker books, books with toys, and many other kinds. We even bought stuff that were already for advanced learners as long as they were on good prices because we thought that eventually, our future kids will have to reach those ages and use the books. And yes, we were right. So our two children literally grew up surrounded by books and toys. They would reach out for books as much as they would with their toys. So our investment for their reading habits really paid off. That is one of the foundations of our homeschooling efforts–that our kids will become readers first and learn by themselves through reading. Anyway, last night I took part in a Book Swap among online friends. I think this is a nice activity while homeschooling in Bacolod. A Facebook friend of mine posted a status, I responded, and all I needed to do was to send a book to the first child on the list that I will get from the private message. You invest in one book plus shipping fee and your child(ren) can get at least 36 books ideally. Calling all mommies, daddies, mommies to be, teachers, grandmas, grandpas and all book lovers!! I need some friends of any age to participate in a BOOK EXCHANGE! 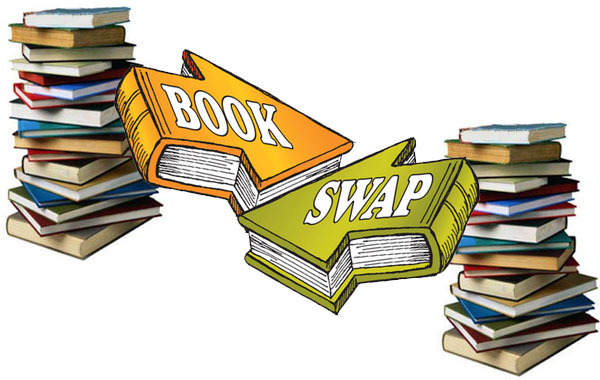 You only have to buy ONE book and send it to one child, then your child will receive 36 books or more in return! Let me know if you are interested and I will send the information! It’s really easy especially if you order through Amazon, Lazada, Fully booked, National Bookstore or any online shopping sites for books because you won’t have to go to the site or post office or Lbc! I know Dindin will be super excited to get mail and you literally just have to buy and send ONE book! In an ideal scenario, if you follow the instructions, you only need to give out ONE book and your child can get 36 back. But really, even if you only get 5 to 10, that is still a good deal. Anyway, I just posted my status today so hopefully in a week or so, we will start getting books already. Oh this is going to be a wonderful time for the kids to keep receiving books every day! What a great possibility!